A cloud based customer relationship management (CRM) system can slash costs and increase revenues while allowing small and midsized businesses to mimic their larger rivals; and the business is getting bigger. According to a recent Gartner report, software-as-a-service (SaaS) will increase its share of the CRM market from 39% in 2012, to 42% by the end of this year, rising to more than 50% in 2016. A cloud-based approach allows SMBs to start simple and work their way up to a full-on CRM solution. Google offers a free and easy method of implementing cloud CRM, while Microsoft and IBM are providing cloud offerings aimed specifically at smaller firms. Once the software's implemented you can start using techniques including an 'Amazon-style' approach to increase conversion rates significantly and bolster revenues. With the right attitude and a minimal amount of IT knowledge, cloud CRM can be integrated into your back office system at little cost. "With a little bit of savvy you can build an integrated back office system without having a degree in computer science," says Gary Barnett, Principal Analyst at Ovum. Alan Hall Managing Director of SCL, a small business of 15 people, has recently overhauled his CRM and moved it into the cloud. "The thing that cloud gave us was the ability to think about plugging in other technology; we have plugged in email for service provision and delivery and we are just about to roll out IBM Marketing Centre," he says. CRM isn't just about buying options; the way the software is used is just as important as the service itself. Barnett advises putting all customer contacts online, starting with a free tool such as Google Contacts. "When you get a bigger package you can just switch it over," he says. In fact, Google works as an entire solution for some. One of Barnett's SMB clients uses Google Docs for its CRM, which involves interacting with 10 to 15 customers each day. The 'Amazon approach', of sending emails to customers who have visited a site but not purchased anything, is also effective, with conversion rates of up to 40%. According to Andrew Jackson-Proes, IBM Enterprise Marketing Management (EMM) Leader, UK and Ireland, SMBs should personalise messages to the customer, which will allow them to punch above their weight. "A small business with online retail could look at who comes to their website - higher conversion rates mean higher revenues," he says. "The key is relevancy; it's not rocket science." At the feature-rich end of CRM, companies such as SugarCRM can offer an ideal solution for SMBs, with those more technically minded able to go for the open source option and run it themselves. But according to Graham Laidler, Director at IT solutions firm Accelerata, Microsoft Dynamics CRM is a better bet for SMBs, because it is easy to use and has Office integration. "Both Salesforce and Microsoft do good cloud solutions and they are equivalent in features, but Dynamics is easy to use for end users," Laider says. 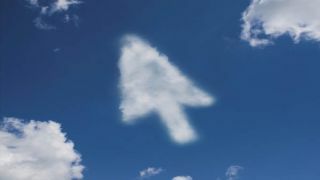 The Microsoft solution has a plug-in that hooks into Dynamics CRM in the cloud and provides a contact list in Outlook. Another bonus is an add-on called 'Web to Lead' - which allows you to build a 'contact us' form that can be assigned to a person within the organisation. "That person can then be targeted with converting email leads and the company can monitor sales," Laider says. "The power of a CRM system is it takes a prospective customer to a paying customer. It's about managing the customer life cycle." Meanwhile, IBM's Marketing Center - a cloud-based suite integrating campaign management, email targeting and personalised offerings with marketing analytics - is useful for SMBs wanting total integration. Launched in September last year, the product is already gaining popularity in retail, travel, hospitality and b2b. CRM applications allow you to build a solution gradually. Cloud.IQ offers a suite of integrated marketing apps, which can be managed within an SMB's existing interface and deployed via the cloud. The firm has broken down its solution into various web apps and is building it up over time, with the first two apps aimed at increasing conversion online. According to the firm, 70% to 80% of online transactions are not completed. "This app identifies these people and stays in contact," says the company's CEO James Critchley. "The reality is that people who have gone onto your site are a lot easier to convert." Whether you decide to go with a free Google solution, or a more feature rich offering such as IBM's, cloud CRM allows you to gain measurability on your marketing in an easy to use environment. Adding in customer-focused techniques such as Amazon's means you can be precise in your targeting - increasing revenues as a result.